MamaBreak: 42 Pack of Newborn diapers only $3.50! Go! Go! Go! These will not last! 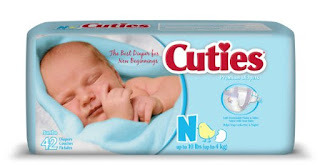 Cuties Baby Diapers, Newborn, 42 Count $3.50 after clipping the $4 off coupon!